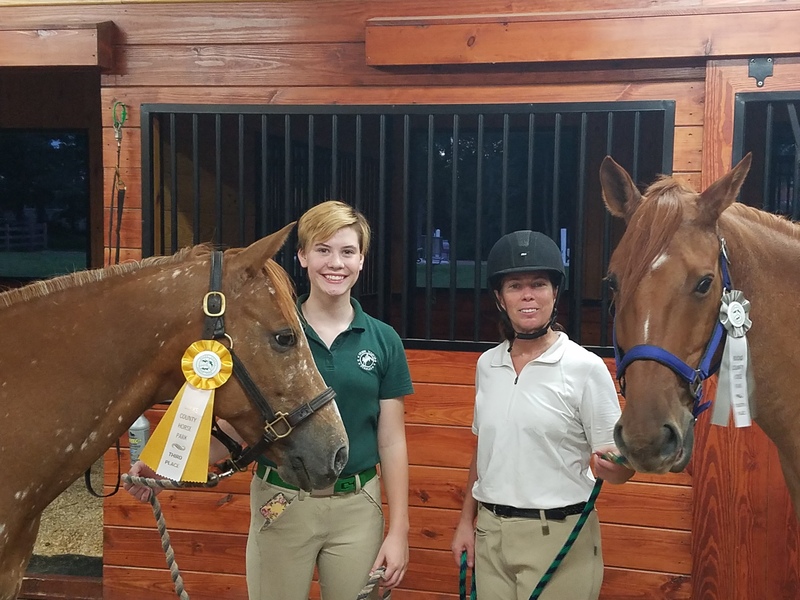 Congratulations to Emma and Colleen on their great performances at the Bucks County Horse Park’s Friday Evening Event! Emma and Yankee competed at Starter, which was Emma’s first time at the level, and they received their best dressage score ever at a 29.7. The pair put in a clean stadium round and had one unfortunate refusal on XC, but finished in third place! Colleen and Monte competed at Starter as well in Monte’s first event ever! They put in a steady dressage test, but had some green moments in stadium and XC that just require a little more schooling. Still, they finished in fourth place and Monte was quite proud of himself!